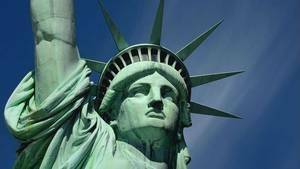 The base of the Statue of Liberty was not manufactured stone, contrary to what one might believe, it was made of concrete, which itself was covered with granite slabs. If concrete construction represented a major challenge for architects (It was the largest building of the nineteenth century and still has it been made in this innovative materials), the establishment of granite slabs also noted with great technical skill. These granite stones from Connecticut to 130kms north of New York, County of Guilford. There is a named peninsula Leetes Island. 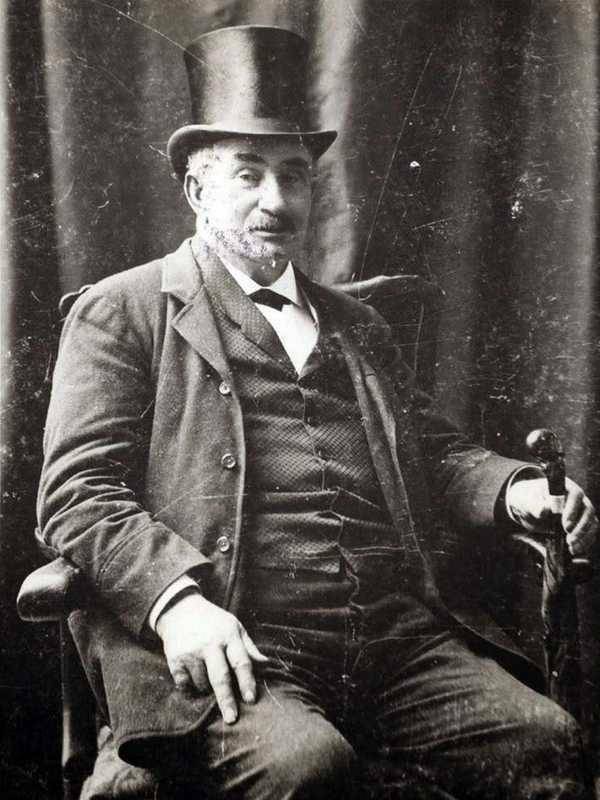 It was purchased by one John Beattie, an Irish immigrant, son of a stonemason, who came to seek their fortune in the hypothetical gold mines of California. Like many soon after he found himself on the East Coast, it bought 1.5 square kilometers of land in 1869 on the peninsula. He found an interesting granite vein and developed a career that made the heyday of New York builders, the "John Beattie Granite Works". He signed a contract of granite slabs for the Statue of Liberty with prime contractor D. King. Two years later, on 5 August 1884 and at the request of King, Beattie was extracted a block of 6 tons of her career and rattled the plates in various sizes, as requested by the King. Beattie numbered itself the plates before loading them on to carts pulled by oxen, towards the nearest port where the boat was waiting for transport, a careers property. This ship was a sailing sloop of the Hudson River, loop reinforced for transporting heavy loads. It could carry up to 100 tons of material at once. Initially it had been built for the US Navy in 1813 to Lansingburgh (New York) Equipped with a winch, it allowed relatively rapid loading and unloading. This ship ended her career at Hoadley's Point, the harbor of the quarry. Johnnie Beattie was of Irish descent, her family had moved to Edinburgh. Born in 1820, that is 49 years old he bought her career that could not make a fortune in the American West. It was a notable of the East Coast, he employed many workers. Connecticut had become, during the golden age of the extraction of granite in the late nineteenth century, the hub of expertise. Throughout Europe stone-cutters coming here to learn the trade or simply participate in the US growth by cutting, polishing or curving the different stones that were found there, such as pink granite, blue or the White. At that time it was close to 600 workers who have gone through these careers. Johnnie Beattie received two major orders in her life, at least orders for prestige: The facing of the Statue of Liberty and the Brooklyn Bridge pillars. Address: Leetes Island is a place called Guilford County, CT 06437, USA. 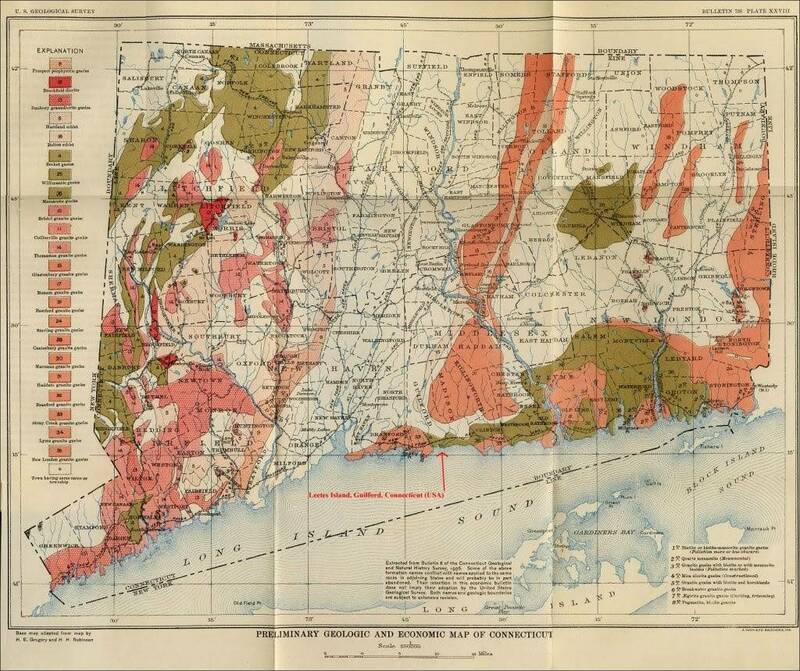 The map is against 1906 and giving the position of the Beattie career: "Bulletin of the Connecticut 6 Geological and Natural History Survey, 1906". 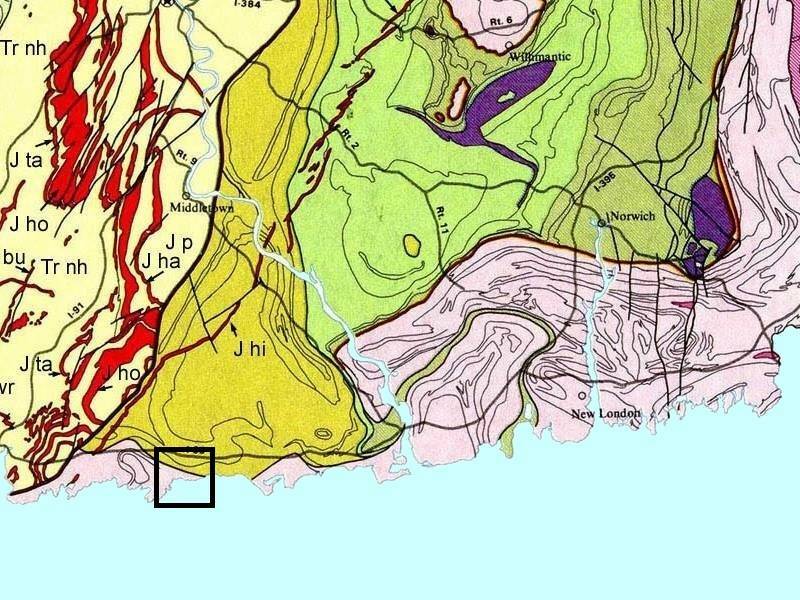 For those who want to deepen the subject, here below the geological map of the coast of Connecticut, with the location of the Beattie career. This career is on a granite mass, bordering a large shale area. 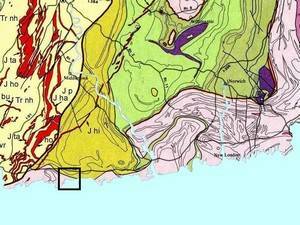 The coast of Connecticut, seen by a geologist look. The Beattie mine is the square of the center. Should Wikipedia must be closed? This may be shocking, but I'm sure you will no longer think after reading the chapter below. To all those who think they are right when they state on Wikipedia that stones come from a French career, simply point out to them that the transportation granite stones across the ocean is a little dangerous, nonetheless. .. And very expensive, a stone, even in the United States, it is not still not much. So we put aside her chauvinism and examined more closely Wikipedia. This superb collaborative online encyclopedia insists that the stone base was provided by a French career. The thing is that this is not always the same. Then go to discover a new world, a world where those who think they know have the ability to widely disseminate their nonsense. Here is the list of places where Wikipedia claims that the granite stone base was extracted. It's been already a lot, but I have not yet found. Damparis, in Jura, (and her career ... of marble). This list is not exhaustive, there are many granite quarries from which the stones are from the Statue of Liberty ... if you believe everything you read on the Internet. 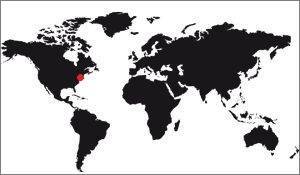 We find in Spain, Great Britain, Canada, Belgium, and even Africa! The pedestal of the Statue of Liberty, a gift from France, was completed in granite and stone of Euville. "the pedestal of the Statue of Liberty in New York"
The contributors to this great encyclopedia adds a layer on the page of the creek of Port-Miou, between Marseille and Cassis. Until 1982, it still operated the quarry of Port-Miou which gave a white freestone and hard, the Stone of Cassis, which was used for construction by Leon Chagnaud "tunnel Rove" some quays of the Canal Suez, several doors "Campo Santo" of Genoa and also the Statue of Liberty in New York. Of course, on the page of Cassis, the author confirms. The Cassis stone, which was exploited since antiquity made the fame of this small fishing port in the world. The platforms of the major ports in the Mediterranean are built, (Alexandria, Algiers, Piraeus, Marseille, Port Said, the base of the Statue of Liberty in New York). That of Ruoms, in Ardèche, the authors of the error protecting a little, at least. Country Ruoms is a career country still operated fifty years ago. Limestone Ruoms was used for the realization of many monuments and works of art, it was even quoted the base of the Statue of Liberty in New York, but no document attests. That's something. This is nonsense, but the author was not sure of himself, he is cautious. We would have preferred it checks. The career of Hauteville-Lompnes is operating since 1840. It provides an amber limestone production used for pavements and veneers. This stone is exported around the world, especially for famous buildings like the Empire State Building, the Capitol in Washington, the stairs of the White House, the Statue of Liberty in New York, Tokyo Imperial Palace , the Palace of the Escorial in Spain, the Palais de Chaillot in Paris or the altar of the Basilica of Lourdes. It is sufficient to say that for the Statue of Liberty, this is garbage. For other buildings, they let you judge. The kersantite or Kersanton stone, is an igneous rock vein to close composition of granite and having some interest in sculpture, because it combines the ease to be carved resistance to time and weather. The base of the Statue of Liberty, located on the island of Liberty Island in New York harbor entrance is stone Kersanton. The town of Chazelles is primarily known for its pure limestone soil, which was, as elsewhere in the Charente, the main source of work for many decades. So Chazelles claims to "capital of stone", as recalled by a statue installed near the old station. Some companies are still demonstrating this expertise. The Statue of Liberty in New York demonstrates this expertise because its base was carved in stone Chazelles; Indeed gift from France to the new States, this base recalls that New York was called "La Nouvelle Angoulême", hence the name of the New York spot in Angoulême, prefecture and historic capital of the Charente. And that's how the rumor related careers Chazelles to the old name of New York. Furthermore, the Crazannes stone was used to build the pedestal of the Statue of Liberty in New York, despite some rumors attribute careers of the Meuse. Here, the author is assured, the stone comes from Crazannes! Really sure? Yes I Do? The stone blocks forming the box are carried along via the Charente from the quarries of Crazannes near Saint-Savinien. It is in these quarries that were extracted the stone blocks used in the construction of the Cologne Cathedral and the base of the Statue of Liberty. At least, the authors are consistent from one page to another, that's something. It is false, but consistent. The pedestal of the Statue of Liberty in New York is made of stone St Even. Worldwide Damparis marble and stone are used: Theatre of Geneva, Farel in Neuchâtel monument, theater in Frankfurt museum in Stuttgart, various palaces in Brussels Kaiserhoff Berlin Naïva church in Moscow, one of the cathedrals of Dublin, monument Christopher Columbus in Mexico City and pedestal of the statue of Liberty in New York. The small positive note, it is as [contested relevance], just at the end of the sentence. We must move forward in the right direction. But then, what path remains to be done to purge Wikipedia all this nonsense. Make tend to trust specialized sites, they are much better documented. And foreign Wikipedia, it says what? NOTE: Mocking the mistakes of others is fun. Assume hers is a necessity. You will probably find errors on this site, but at least I assume the and corrects the earliest. Not like Wikipedia, on which one can not ultimately rely on for effective information. By the way, is it true that the information is present on Wikipedia? Career Byram provided the stones for the construction of the Brooklyn Bridge and base of the Statue of Liberty in New York.